Dropbikes are wonderful. They provide us the opportunity to get around campus in a quick and sustainable way, but as soon as that bike starts beeping you need to ditch it fast. We've figured out some great places to ditch that velo without regard for the bike or those around you. Give those foolish pedestrians a bit of a challenge for once! If your hour is up, you might as well just prop that baby right along Main Mall for everyone to walk around. Eventually someone will come by and need it, so it's hardly even inconsiderate. 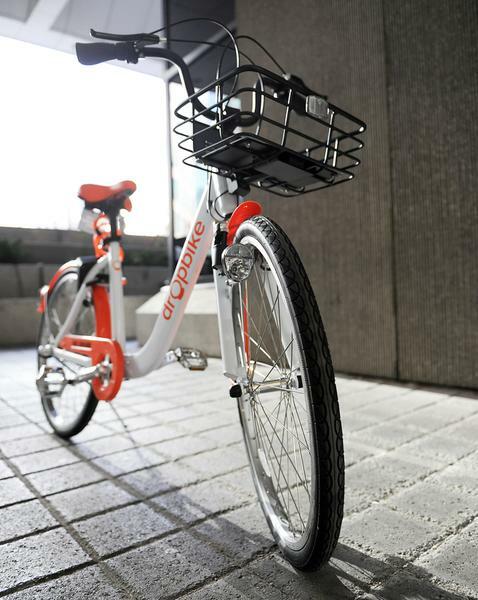 The Rose Garden – repeat after me – needs more orange and white branded bicycles strewn around. Using the kickstand is unnecessary. The best thing to do is to find somewhere that has been beautifully cultivated by hardworking gardeners and just toss that bad-boy right onto the ground. Shake things up when your time is up and place that bike in a fountain. While Martha Piper has had a brutal time recently, what are a few rented bikes going to do? Show off some finesse by getting in the fountain yourself and setting it up with the stand – people all over campus will be enamoured and think "Why would anyone do that?" Why did I include this? This is dumb and no one should do this.